Why The SLFP’s Last Chance Of Survival Is Today! “Shree Lanka Nidahas Pakshaye gamanaka avasaanaya”– the final journey of the SLFP— was the title of a public lecture delivered by Rohana Wijeweera in the early 1980s. He was wrong. Or maybe he was prophetic and merely premature by a few decades. The SLFP is dying electorally. Why so? Because it has contracted electoral AIDS through its relationship with the UNP led by Ranil Wickremesinghe. It would have been affected by any coalition with the UNP, but it is terminally affected because the UNP is led by Ranil, who is also the PM. No personality in the UNP represents everything that the SLFP voter viscerally opposes, more than Ranil does. Ranil is ‘The Other’ in the eyes of the SLFP voter, because of his persona and his policies. It is now clear that he is entrenched as the PM and UNP leader. It is also undeniable that the economy is growing at the slowest rate in 16 years. It is known that Ranil and the TNA have arrived at a 10-point accord in exchange for the TNA’s support at the no-confidence motion. The TNA is detested by the SLFP voter. The combination of Ranil as PM, the low economic growth, the neoliberal policy package of privatization and de-nationalization, the appeasement of the TNA, the arrest of military personnel, taken together, mean that the SLFP’s continued stay on the Unity Government will accelerate its electoral death. The timing and optics of the arrest of former Army Chief-of-Staff and head of the Directorate of Military Intelligence on the morning after Ranil won the no-confidence motion, smacks of Millennium City. All of this will make the SLFP voter detest those SLFPers who stay with/tilt to Ranil and the UNP. Mangala Samaraweera’s counterargument, which Chandrika has smuggled into the SLFP, is that Ranil will get 80% of the combined vote of the minorities, and if he and Sirisena, or just Ranil on his own, can secure a mere 35% of the Sinhala vote, he can do a 2015. This is incredibly stupid. Those Sinhalese who voted against Mahinda in 2015 aren’t about to do so again. They voted against the Rajapaksa government while this time they’ll be voting against a Yahapalana government—a government which has just increased taxes on top of a declining economy and rupee! And the Sinhala Catholics aren’t voting for Yahapalana either. So it’ll be 80% of the Tamil and Muslim minorities plus a small percentage of Sinhalese for Ranil and the UNP, because many UNP voters won’t be voting for Ranil either. The SLFP will be buried beneath the avalanche. It will be an avalanche of triple elections: Provincial Council, Presidential and Parliamentary. It has only one chance for survival, let alone recovery, and one moment in which to make the right move. That moment is NOW, today, Monday April 9th 2018. Today is the day of the SLFP’s Central Committee meeting, the first after the no-confidence motion. The SLFP has to make the pivot that will make it possible to have a less than desultory May Day celebration in a few weeks. Thanks to the no-confidence motion, the SLFP has one thing going for it; one card to play. Just one! The 16 SLFP dissidents who voted with the no-confidence motion revived the drooping blue flag and waved it proudly. They had a choice. They could have clung to Chandrika’s blue-green saree pota or they could have waved the dark blue flag. They chose to do the latter. I think it is safe to predict that the SLFPers who abstained from the vote and thereby revealed their sympathies for Ranil Wickremesinghe, while arousing suspicions of material gain, have come to the end of the road politically, at least as far as re-election on the SLFP ticket goes. They may obtain UNP nomination but the UNP is heading for electoral disaster so one fails to see how that will help them. They may not even get a preference vote from UNP voters. They also run the risk of being ditched by Mr. Wickremesinghe’s obvious successor. It is possible that they may hope to sneak back into parliament on the SLFP National List, but the SLFP as it stands is not going to well enough to have more than few coming in on the national list. If the SLFP remains the way it is, it will not make it into double digits and will have to fight with the JVP for last place. The only way in which the SLFP can revive is to change course and enter an alliance with the JO led by Mahinda Rajapaksa. Plainly put, the SLFP has to turn the clock back to August 2015 and ride on Mahinda Rajapaksa’s coat tails, or rather, his satakaya (shawl), or not survive at all. It is difficult to imagine that any of the abstentionists will get nomination from Mahinda. Their only chance is to be on the SLFP ticket and for the SLFP to have an arrangement with the JO-SLPP. The later that task is placed on the agenda the less likely it is to be accepted by the JO, and even if it is accepted, the share that the SLFP will get will be quite small. The earlier the SLFP pivots, the more likely is an alliance with the JO and the better the terms and conditions will be. The SLFP’s political viability depends precisely on its 16 dissidents. Far from disciplining or silencing them, these 16 constitute the lifeblood of the party. They saved the party’s credibility by standing up. The SLFP declined to 13% of the vote because it had abdicated its traditional role and function of a moderate nationalist alternative to the center-right United National Party. It played the role of an adjunct, a prop of the UNP. Party leader, President Sirisena has accurately calculated that on the basis of the Feb 10th local government results the JO would obtain 102 seas, the UNP 65 and the SLFP 30. He made the point a viable majority in Parliament would require the SLFP’s 30 seats. The problem with that argument is that it does not make a projection for the future. Now that we know that Prime Minister Wickremesinghe will remain the UNP leader, we can safely assume, on present form, that if the SLFP were to stay with the UNP, then its vote would drop below 13% and therefore its number of seats would fall below 30. The SLFP’s bargaining power is on the decline. The phenomenon of the Rebel 16 has hit the pause button on that decline, but if the moment is unused, misused or deleted, then the decline will resume. What happened to the SLFP at the last election and will inevitably happen to it at all future ones unless it pivots, is most clearly explicable when one recalls the similar fate of the Liberal party of Britain which, under the leadership of Nick Clegg, entered a coalition government with David Cameron’s Conservatives. It was decimated at the subsequent general election. By stark contrast the British Labour Party has revived under Jeremy Corbyn precisely by returning to the classic stand of the Labour left against the Conservatives. Luckily for the SLFP, the whole country and most pertinently the SLFP voters saw 16 SLFPers, mostly senior, voting with Mahinda Rajapaksa’s JO against Ranil Wickremesinghe and the UNP. They saw Susil Premjayanth and Dayasiri Jayasekara speaking out defiantly in the face of UNP aggression. It is these two, leading the Group of 16, who have restored the SLFP’s credibility. The split in the SLFP has been a boon not only for the JO but perhaps more so for the SLFP. Had the anti-UNP struggle been virtually monopolized by the JO with some wildly anarchic support from the JVP, while the entire SLFP abstained, then the anti-UNP voter would have switched almost completely to the JO, with a small percentage accruing to the JVP. However, thanks solely to the SLFP’s 16 courageous dissenters, the SLFP voters can retain some measure of faith in their traditional party. The SLFP dissenters showed that they had more courage than the UNP dissidents who backtracked and caved in. While it is true that the UNP leadership is far more dictatorial than the SLFP’s, it is also true that from the viewpoint of the national TV audience, i.e. the voters, the UNP dissenters were seen to simply fold up, while the SLFP’s dissenters stood firm. The SLFP’s fate even in the short term lies in the fortunes of the Group of 16. If they are promoted to the top of the party and asked to chart a course for it, the SLFP has a chance of electoral survival and recovery. If the SLFP is so revamped and redirected it could be a rallying point for disaffected UNP voters as well, now that the UNP’s leadership will not change. Those UNP voters are more likely to shift to a rejuvenated SLFP, rather than to the more robustly nationalist SLPP. An SLFP led by the Group of 16 could be a new centrist opposition formation, close to the SLFP at its founding moment of 1951: a social democratic, anti-UNP party. Such a party would have the options of attracting dissident UNPers, or allying with the JO on respectable terms, or building the broadest possible bloc, ranging from the JO to the dissident UNP. If one the other hand the SLFP fails to defend the Sixteen from the UNP, and to make the best use of their defiance by deploying them as the new brand ambassadors of the SLFP, then the official SLFP can kiss goodbye to its electoral future. 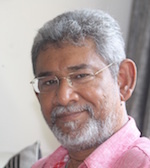 If the LSSP had exited the United Front coalition government in time (midterm) and moved the dissenting Vasudeva Nanayakkara to the top ranks, and the Communist party had done likewise and placed Sarath Muttetuwegama at the helm, neither party would have got decimated at the 1977 general election. These moves weren’t made and those parties were wiped out. The same fate awaits the SLFP if it doesn’t turn against Ranil’s UNP and re-profile by placing the Group of Sixteen at the helm of the party. Perhaps it is time for the SLFP to convene a party Congress or Convention to debate and determine the political line. Enough of your BS. We have heard your BS explanation over and over again through print and electronic media. Same old BS all over again. Get over it and move on Dr DJ. Dayan buddy, …….. I suppose a few minutes of the day, some rational thoughts briefly enter your mind ………. Soooooo ……… just think, how many years of your life you have wasted waiting for the Rajapakses to come back to power …… and for you to get ……. or not get a position ……. too much time man … they may have too wheel you in a wheel chair to Geneva …. At least other former-revolutionaries Vasu, Dinesh …… have played the game right and living in style at the public’s expense ……. Out of pity, now here’s a secret …….. whenever a UNP government comes into power real-estate prices go through the roof island-wide; Colombo is unbelievable. SLFP/Mahind kills the market. …….. Stock market should have gone through the roof as well if Ranil was able to implemented his modernization program without hindrance ……… but Mahinda hanging in the wings has infused a lot of uncertainty ……….. Mahinda is doing what Prabakaran did for 30 years ………. holding the country back ……. So, collect your pennies and invest in stocks ….. just pick any blue chips; throw darts like a monkey ……. during the war with the LTTE you could have picked JKH for Rs23 (and that’s before many splits) Distilleries Corp for Rs 3.75 (now, Harry has named it some other crap) All the Banks you could have got for a song ……… Load up while Mahinda is holding the country back ……….. And then pray like hell for him to kick the bucket, or shoot him yourself …….. there’s your millions pal ……. no need to write tomes to make a statesman out of Basil …….you’ll have enough money to show the finger to all the Rajapakses! ………. Just think how liberating that’ll be!!! Now, you can start calling me ………Dr. The 13% did NOT vote for the Pohottuwa, and by your own past logic, they would most likely vote UNP. Then what? Also, remember that Mahinda is not immortal, despite his pretensions to the contrary. Let us pray. Dayan is a habitual/serial fear monger void of any supporting evidence. It is his job to keep the people paranoid. When volk/people are generally paranoid they look for a strong leader, a fascist Fuhrer to take care of the fatherland, its volks, …………. He has never been successful in anything that he keeps himself involved. He is a total failure in his every attempt, as an intellectual, revolutionary, a minister, adviser to Premadasa and Rajapakse, ……….. election astrologer, …………….. This Rajapakshe’s feet licking poodle can say or predict anything but has he ever said/predicted or analyzed anything properly? The Rajapakshes know how to use this ‘educated’ fool and then throw him out like a used condom. As far as Ranil is concerned, this ‘educated’ fool is not worth even to be a piece of dust on his toilet slippers. You have contradicted yourself. Am I to think that an Political analyst with lot of experience and qualifications did not know what he was writing. You say in one place, Maithripala Sirisena predicted the outcome of the Local election. We know half way he stopped campaining too. MY3 had mentioned that he would gang up with the JACKAL OPPOSITON aka Pohottuwa. It is Mahinda Rajapaske who lost the NCM. Now, you are pushing MY3 to make peace with LSSP losers who destroyed Sinhale and contributed to Sri lanka and to their own demise at the same time and to take back JAckol Oppostion thieves, Saboteurs and philanderers. It is very dishonest and destructive when you say these autocratic, Family Oligarchy supporting, Family dynastry supporting prty constituiond to lead the way. Because, SLFP, UNP and SLPP arfe one and the same same.Same old theives, Fraudsters, LOSers, Incomptetants want to lead again. ANYWAY, I AM UNHAPPY WITH THE JVP BRINGING THE ABOLISHING OF THE EXECUTIVE PRESIDENCY. I DON’T KNOW WHAT PRECAUTIONS THEY HAVE AGAINST THE DIRTY HYENAS HIDJNG BEHIND. I say again, you are just for crumbs, because Mahinda Rajapakse cannot come and he will not fill your pockets except for he himself. you are very wrong. You are scaring Maithripala sirisena to go and talk to JAckol Opposition.If not MY3 will be doomed. YOu are as a political analyst has a very bad record. Remember, you are the same person who worked for Varadaraja Perumal and then you worked against Tamils too. Ranil is not firing SLFP ministers mean he is not setting up the national govt with all the Tamils, all the Muslims and Sinhala protestants backed by MCC, big Pharma, NGOs who are crying out loud for their income. Mahinda Rajapakse is for his Dynasty buildiing project becuse Sri lankan set up is so vulnerable anyone can use it. Mahinda Rajapakse is OK with continuing MCC, NGO and western programs. HE just needs power and wealth. Ferdinand Marcos relving. Politicians pretending to be letists and making billions is the name of the Game in Korea, Brazil etc. The name of the game in politics is swindle the masses. People have no way out. They are in a mess. At the end of the 2020, It will be another Protest or Reject vote against Ranil and THE UNP. So, Maithripala Sirisena as one came from the rural areas, as some at least who has seen paddy fields and chena cultivations, must use his pwoers to prohibit thieves, criminals coming back. they are waitng by side. Because it is easy to win a protest vote and staert plundring again. Maithripala Must understand his powers and capability as a president and the trust people kept on him and not the consultation of people like you. Mahinda Rajapaske rajapakse predecided to get his way. So, he was spending money in the west for Lobbying and he used the full machinery to cheat voters and he lost. Everybody know why he had to go to war. He was prepared to give FEDERAL solutions to Velu. but it did not work. How much profit did Perpetual Treasuries make from bond scam with computation to support general opinion? DJ please .for god sake Take some middle ground before writing any article. It looks like you have become a good keyboard warrior. CT should tell DJ to have some sense. There is a duty for our President Sirisena to protect SLFP which was destroyed former President Mahinda Rajapakse. Only way you can do is to expose the real motive of Mahinda Rajapakse. Let’s see how the President protects the SLFP. Dyan’s way or any other way, we will have the luxury of seeing who is correct. shave your head adorn the robe ,,,,,,no one can then touch you! Downgraded from free-loading on “cheese and wine” dinners to a struggle for mere “sambol and pang” meals how could you expect a man not to sink to desperate boot-licking, even if MR had no reservation of degrading DJ in global TV for exactly that affinity? He has never been a force. He was more like parasite. He may not be able to hide his fingers from typing. Rajash – “Take the escape route….which is shave your head adorn the robe…..no one can then touch you!” Except Gandasara !! Dayan,don’t talk the BS as usual.You know very well that the only way that theSLFP can get more than its current 13-15% of the vote is if sirisena shows that he is a better leader than mahinda.Being in the shadow of mahinda for 10 long years he is finding it difficult to prove it.He is not dynamic enough. So it just boils down to leadership,not all the crap you are talking.Make it nice and simple in future. We all know that to beat mahinda you need sirisena+the leader of the UNP.Obviously sirisena feels that the leader of the UNP should be changed because he is unable to increase his own capacity any more and is worried that when the UNP goes lower he will also go down with it.he knows very well when he contested the presidency that he was the icing on the cake,not the cake itself. A few years ago he was in a panel along with your poster boy Black and Decker discussing strategic issues and taught the American elite forces in this island. Therefore you should withdraw your statement “Dayan,don’t talk the BS as usual.”. He always talked bull like your poster boy. Why have you suddenly discovered Dayan speaks bull? What a load of rubbish from this stupendous fool. Completely cockeyed analysis from this clown. The arresting of miitaryintelligence Chief is very wrong. Once they come out, if they can find moey via their trade unions, they should SUE the govt. Because, military is carrying out politicians or Defence miisters orders. SO, this govt in order to make politican scoring, arreast officers who carried out orders. So, sue them. People should help them. I heard the govt it self had said stay in the Jail for some time until these finishes and we will pay you compehnsation. A chicken little govts. So-called LEaders. they know only to mislead voters. DJ’s insistence that the Tamils are the “other”, the aliens, should forcefully imply that Sri Lanka should be divided and the Tamils given a separate part. You got it wrong with the prediction of the outcome of the no confidence motion, and you will for sure get it wrong with your prediction of the death of the SLFP. The SLPP will follow a similar death as the DUNF. Ranil has become Magic Johnson. Ranil is going to win the next EP election while giving AIDS to new king for his death. Dayan should know what happened to the leftists parties LSSP NLSSP CP and the MEP by joining the SLFP. They withered away and have reached a stage that they cannot win a seat contesting on their own. Are the forces personnel above the law. Can Dayan look at Keith Noayahs bruised and battered face and say it again. DJ for gods sake shut the F..K up and stop your Bull S..t we have had it too much from your phony political comments. Your age is up and time to retire, let Sonja keep white washing the Pohottuwa and SLFP basta…s. Dayan Jayatillaka has stooped low low low with ~ “………….The SLFP is dying electorally. Why so? Because it has contracted electoral AIDS through its relationship with the UNP led by Ranil Wickremesinghe……….”. The stress in capitols is Dayan’s. People who DO NOT have aids, rarely think about it. The man has started the TNA rumour bashing. He is surprise that TNA is not supporting GR! We know why Dayan prostrates when GR is mentioned. The man says ~ “……….The TNA is detested by the SLFP voter……………..”. If this not hate speech then what is? Putting aside the comments of the English Minority, Dyan has a point here, Dayan only wants the survival of his party, just like the UNP does want its own survival. By some twisted logic that satisfies those who supported the Yaha government, the President, who ran against his own party in 2015 is now the True SLFP, and those who have returned to their traditional anti-UNP stance are the villains. Never mind the recent polls of February 10th. Only a fool would not combine forces with another party, as in SLFP with the Pohottuwa, to win the next elections. If the SLFP can combine with the UNP why not with the True SLFP. What’s that? Principles? That’s in a land like no other. I want to see two parties, but both should be better parties, under popular and charistmatic if not competent leadership, so people can choose between the better of two good alternatives. Ask any Dayan watchers, they will tell you he has predicted doomsday for every party of some significance in the past few years. Does it matter whether any of these parties doomed? Is there any marked difference among them? They all thrive on competitive racism, including JVP. Just after his term end, New King will lose the party leadership. Then Old Royals will contest for that. They are not Chaffs like Thero. It is unlikely they ride on GLP’s Slap Party. They will rebuild SLFP. Say they want to see the death of SLFP, even then the best idea is “capture and kill”. What Thero fails to get is Old King Knows that bringing rice from Moon making Biryani to distribute is a fake talk. He knows the water temperature beyond the Bay of Bengal or Palk Strait, and he knows his Dhal won’t get cooked on that water. (A saying Tamils, when to tell someone that they cannot fools others:”Untha Parippu Intha Tanniyil Veakkathu” Parippu doesn’t get cooked in many well water in Jaffna because it is so Hard water).Thero worked as a diplomat but has no feelers to sense it, so he don’t. That is why Old King fired him from the job. The party’s best use is for Chandrika. If she stands for leadership, it is piece of cake for her. Old Royals will attempt to do all possible for them, (if needed have Kegalle Jayamanne write an additional letter for her too,) that she is not achieving that. (It is unlikely New King handover the leadership her to voluntarily). But if she take over then GLP’s Slap Party never can come to power. Again, if that happen, she will have put GLP’s Slap Party in permanent comma. Vimukti can get a good start. Of cause he is not a synthetic lawyer. She cannot be president. Her taking forward is signing a deal with Ranil. Instead of Vaalaiththodam Jr, if Mangala or Rajitha get UNP, Lankawe history can get out of murder politics. But Vaalaiththodam will not that easy give up. 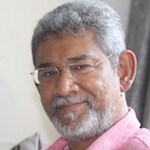 Why didn’t you also say (in the same breath), Dr Dayan Jayatilleka, that among the 16 SLFP dissidents who hold Ministerial, State Ministerial or Deputy Ministerial positions should now do the morally decent thing and resign from holding such positions so that they can be even more PROUD about themselves? Did you fail to say this because you know damn well that these people have no scruples, in which case it shows that you too have no scruples by referring to them as PROUD individuals. Ranil is going to be the Presidential Candidate and winner in the next Presidential election. And thusly the Parliamentary election goes the way of the winner and will also be SWEPT by the resurgent UNP. Why? Because SLFP is demoralized and leaderless and rudderless with that clown from Anuradhapura as Gen.Secy. Everyone knows he is a twit with no brain. Ask Sabitha. A. UNP will win 30% to 35% of the Sinhala Buddhist vote and get 99% of Tamil and 95% of Tamil Dravida Muslim votes. Ergo, RW will W-I-N. Parliamentary elections will be a bit more complex because TNA will contest separately, But they will caucus with the UNP. So keep writing rubbish. Keep spewing toilet refuse. We will create a liberal pro western democracy under Ranil . US will never allow SLPP to win. Indian will never allow SLPP to win and take over. Gota will be arrested on trumped up charges before 2019 if the real charges do not stick. SF is out to get them out of hatred for what you and your leaders did to him. You humiliated SF. He is waiting for revenge. Clock is ticking on crooks and murderers and killers of Rugby players over girlfriends. DJ. we really would like to know your stand regarding the corrupt and criminal activities of SLFP leadership in particular and other politicians in the Party. I don’t recall reading any such write up or analysis by you. You have made a mark in foreign service during SLFP regime in the past and I am sure you could enlighten us on these matters not only of SLFP but UNP as well. I am sure you agree that corruption,money laundering ,nepotism, and host of other financial irregularities have been brought to light in the past three years of this Government but are being swept under the carpet. Don’t you agree that this is the bane of our country, your suggestions and plans are excellent as far as SLFP is concerned, but what our country needs today is honest leadership who will rid the county of dishonest politicians. So use your capabilities to rid SLFP from corrupt politicians, I am sure you know who they are. People are different now, politicians cannot fool all the people all the while with their rhetoric. Why should any one protect or absolve any fraudster, but speak up for the truth and truth will make you free. Until and unless justice is done our Nation will never move forward .